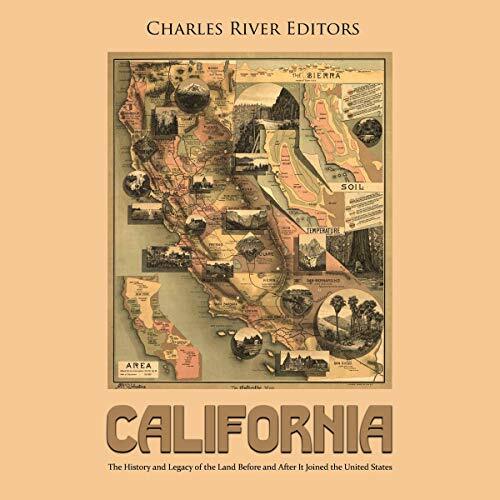 The history of California is one that witnessed the rise and fall of several nations and peoples. From the first natives to settle the fertile lands to the encroaching foreigners from the South, East, West, and North, the land that eventually became the Golden State received them all. From across oceans, mountains, plains, and deserts, people came to take advantage of the region’s natural resources. In the mid-19th century, the battles would culminate with a young republic claiming the land in its endeavor to stretch from sea to shining sea. Given that Americans were still mostly on the East Coast, the early settlers and prospectors who came West would find a land rich in resources and people but without the means and ability to properly tap those resources. Thus, the land would change hands several times, with the natives stuck in the middle, as so they often were in colonial struggles. One of the most important and memorable events of America’s westward push across the frontier came with the discovery of gold in the lands in January 1848. Located thousands of miles away from the country’s power centers on the East Coast at the time, the announcement came a month before the Mexican-American War had ended, and among the very few Americans who where near the region at the time, many of them were Army soldiers who were participating in the war and garrisoned there. San Francisco was still best known for being a Spanish military and missionary outpost during the colonial era, and only a few hundred called it home. Mexico’s independence, and its possession of those lands, had come only a generation earlier. Everything changed almost literally overnight. While the Mexican-American War technically concluded with a treaty in February 1848, the announcement brought an influx of an estimated 90,000 “Forty-Niners” to the region in 1849, hailing from other parts of America and even as far away as Asia. An estimated 300,000 people would come to California over the next few years, as men dangerously trekked thousands of miles in hopes of making a fortune, and in a span of months, San Francisco’s population exploded, making it one of the first mining boomtowns to truly spring up in the West. This was a pattern that would repeat itself across the West anytime a mineral discovery was made, from the Southwest and Tombstone to the Dakotas and Deadwood. Of course, that was made possible by the collective memory of the original California gold rush. As a state, California faced many problems, some were national issues, and others had a Californian flavor. The state never lost its place in the Union, pitching in whenever and however it could. Though it might have done things its own way, the fact that California has always handled problems as only California could be what has set it apart from other states.